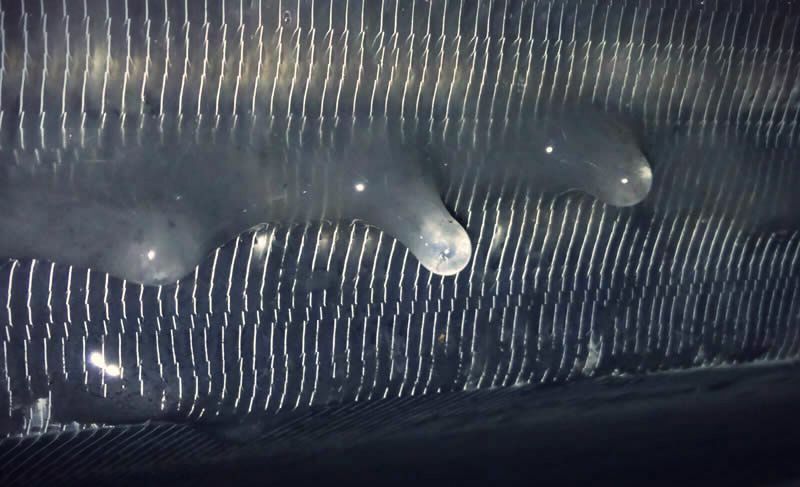 » Why Do Air con Leak And How Do You Check It Out? 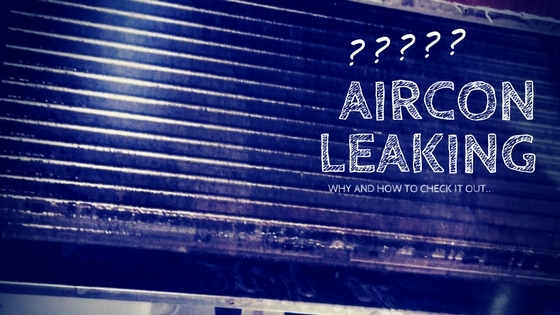 Why Do Air con Leak And How Do You Check It Out? Do you wonder why aircon dripping water? And dripping water is normal in certain situations. Let’s dive in more in this post. The main job of a window air conditioner is to remove moisture from the indoor space so that it gets cooled down to a comfortable temperature. The process uses a certain amount of water which may depend on numerous factors such as the size & overall condition of the unit and humidity. The moisture that is captured during the operation of the air conditioner will flow down its cooling coil and drops into the base. Some of this water is used to cool the heating coil while the rest will collect at the rear of the unit.Then, it drops out of the base of the AC and onto the ground. In fact, even a regularly maintained unit will leak water out of the back of the AC. But when is the right time to call a technician? This article provides information on why do air conditioners leak and how do you check it out. Most of the time, it is very hard to diagnose a problem in the air conditioner unit through an untrained eye. Most people think that the AC unit is malfunctioning depending on how much water is coming out of the unit. It may look like the unit is leaking from different places. But there are common reasons as to why air conditioners drip water. Once you are aware of these reasons, you can take immediate steps to fix the problems. Here are some of the most common reasons why an air conditioner unit can leak. Not installing the air conditioner unit properly is one of the most common reasons for water leaks. In fact, a window air conditioner needs to be installed the correct way at all times. The unit should be slightly lower at the rear compared to the front side. That way the water that is being removed would drain to the back of the AC unit. This is the first thing that you need to check if the AC is leaking. Most of the time, an inexperienced AC repair company or a handyman can install the unit incorrectly. Icing up is another reason that could lead to a water leak from the unit. If there are issues with the cooling system of the unit, the moisture that gets dehumidified from the air that is around the unit could turn into ice. If you find ice, unplug the unit immediately and check behind the front grille. If there is ice on the cooling coil, you may have to replace/repair the coil. When warm air from outside gets inside the air conditioner, it encounters the cooler and drier air inside the house. Condensation occurs when both these kinds of air meet. If you find water leaking from the front of the air conditioner unit, check if the water is leaking from the body of the machine. You need to give the unit a test. Operate the unit for about half an hour. Check under the front edge of the AC. If you find small water droplets in the area, it could be due to an air leakage problem. Water leaks happen when the drain hole of the unit is blocked. 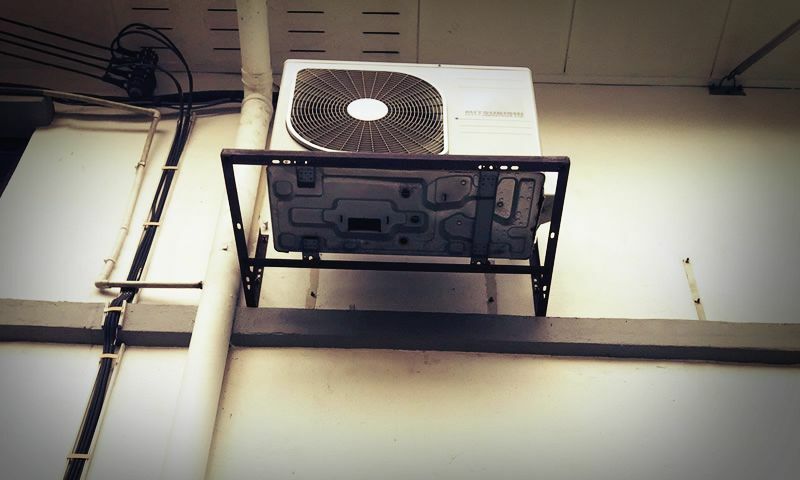 The rear of the AC unit comes with a drain hole to release water. When this hole is blocked, the water gets collected inside the unit. You can test it by operating the air conditioner for at least 30 minutes and inspect the unit to see if it is draining properly at the rear. There should be a considerable amount of water at the base of the unit. You can use a small tool in order to open the drain hole at the rear of the AC unit. When the outside temperature is too cold compared to the indoor environment, the cooling coil can ice up. In fact, this happens when the outside temperature drops below 60 F at night. You may find water on the front of the unit in the morning. In order to solve this problem, you can turn off the air conditioner unit at night. There are many others reasons such as pipe leaking. And here is a quick video about leaking water for LG aircon. Looking for Aircon Leaking Troubleshooting Services? If your air conditioner unit shows signs of leaking, you should consult a professional and experienced air conditioner repair company in the area. They are the best people to inspect the unit and diagnose the real issue with the air conditioner. With a host of AC repair companies on the market, how will you select the best aircon service provider? In fact, you need to do the research properly when selecting the best air conditioner repair company in your area. They will do a good job in repairing the AC unit to prevent leaks over time. In conclusion, water leaks are quite common when using an air conditioner unit. The above article provides information on why do air conditioners leak and how do you check it out. Need help from Aircon specialist to fix your leaking aircon? Offer air conditioning leaking trouble shooting services. Check Out This Article to Find Out Learn Why Your Air-Con Leak.